As musical job descriptions go, ‘music producer’ probably tops the list as the most vague and most indefinable title the music industry bestows upon its practitioners. The role as I first perceived it when beginning my own journey has completely and utterly changed, and continues to do so. Skill sets I never considered overly important have grown to become integral to the everyday work I find myself doing, while processes originally deemed vital in every scenario have proven to be circumstantial and heavily based on the context of the job. The producer is meant to be a figure of many talents and resources, capable of getting the work done, regardless of technical, creative or financial constraints. Unfortunately, the value of a producer’s involvement is often misinterpreted and misunderstood by artists, simply because they have never encountered or experienced one before. This is why producers are responsible for anticipating this gap of information and showing artists that they are worth being involved with, for meeting the unspoken expectations. Amateur artists often acquire a producer because they feel the ideas they have are at a certain point and require a new and fresh perspective to move to the next level. Producers largely provide this resurgence in motivation and creative development and although an artist might not expressly say it, many enjoy the confidence and decisiveness that comes with a producer. Producers by nature wear several hats, so the ability to manage these while displaying control, effective decision making and a positive attitude toward completing the work is critical. The more confidence and motivation you instill in an artist, the harder they too will work and the better the final result will be. 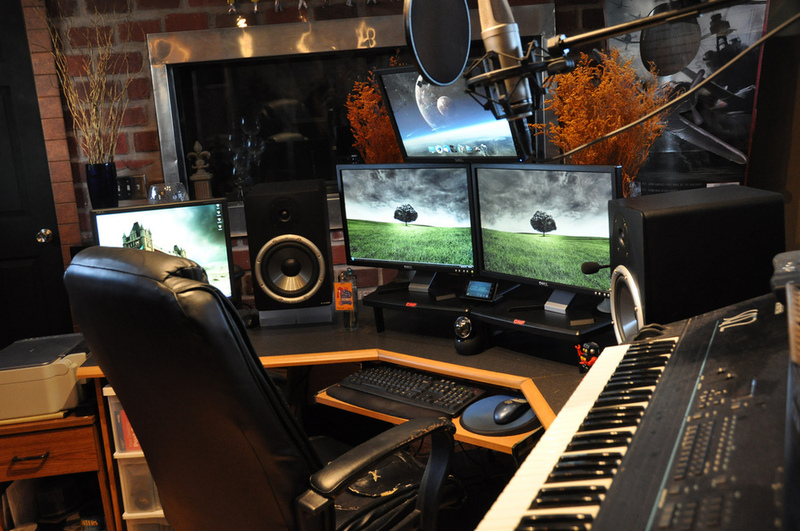 Artists need producers who can manage both themselves and the artist’s requirements and schedule. It is of no consequence to a client if a producer is stressed or tired because they are doing too many things or have a busy week. Producers have a responsibility when working for others to manage their time appropriately to avoid doing too many things and missing deadlines etc. The golden rule is to discipline oneself to never miss a deadline, and where possible, deliver the work early. Never keep a client waiting! Producers are also responsible for indicating to an artist in realistic terms from the start if a project is viable in the time that they have outlined. If they have a certain budget or time constraint, match the work to the time and resources allotted, and where possible go above and beyond to ensure the work gets done. It is the reliability and confidence engendered in an organised work relationship that leads to continued work and repeat business. If you can’t manage your own affairs, why should an artist trust you to mange theirs? Put simply, independent artists do not have the time or money to spend on people who do not directly improve their position as a performing artist in a meaningful and productive way. Money these days is a critical decision-making factor with music, so the first step to convincing artists you are worth collaborating with is to display efficiency. Efficiency is integral and is second only to musical skill. Once an artist latches to a musical idea you have nurtured for example, you need to bring this idea to fruition as soon as possible, so as to capitalise on the momentum of the artist. Efficiency and movement engenders motivation and a positive mental state, so pursuing work at a powerful pace will show people that you are worth getting on board with. What I am not implying is that you should rush the work you undertake; this is a very different matter. Efficiency is the by-product of practice and refinement of your working processes. Learning a new production technique every day of the week for a month for example, will improve your speed and production knowledge, putting you miles ahead of your peers. When it comes down to it, you need not only surplus knowledge but the skill to do it faster and better then the next competitor. Just as a particular smell can recall a vivid memory, to an artist the final product of a project will forever be associated with the entire experience of making it. If you are fast and pro-active in delivering good work, you can guarantee at least one of the following two things: a great portfolio item or repeat business.